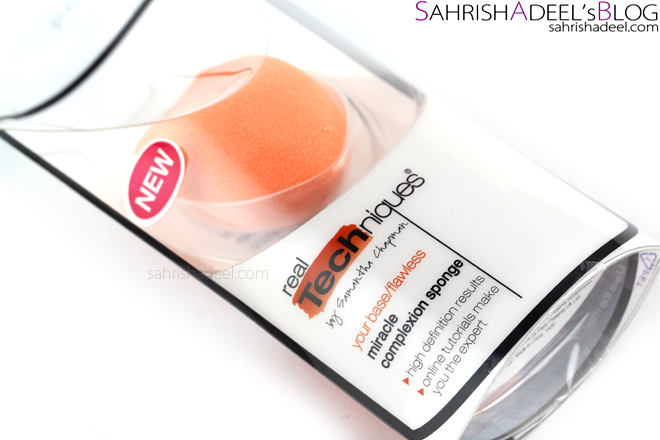 Miracle Complexion Sponge by Real Techniques - Review | Sahrish Adeel - Malaysia based Pakistani Beauty & Lifestyle Blogger! Want a flawless and natural looking makeup? Read my experience with Real Techniques' Miracle Complexion Sponge and decide for yourself if this tool is worth spending money on. 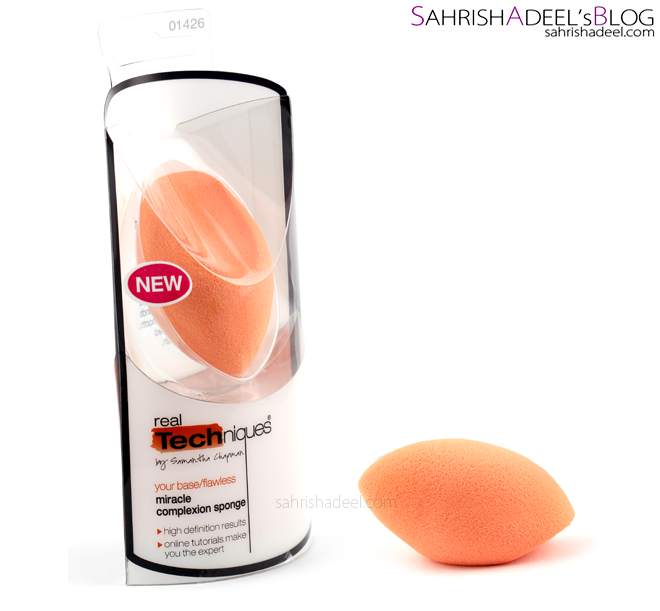 Its versatile design evenly blends makeup for a smooth, enhanced finish. 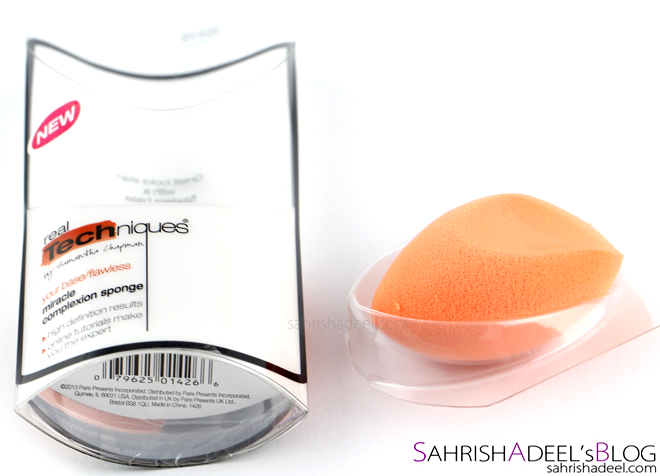 Real Techniques Miracle Complexion Sponge comes in a plastic packaging which details written about the tool. The sponge has a very unique shape with a flat side, rounded body and a pointy end. As soon as I saw Real Techniques launching their Miracle Complexion Sponge, I added it in my wishlist and eventually ordered it along with a few other brushes and brush sets from their range ( haul post here ). - Prepare the sponge by soaking it in water and then squeeze the water out by pressing the sponge. The sponge gets to almost double the original size and it should be wet but not dripping any water at all. - Application can vary from person to person but I like to take out the liquid and cream products on back of my hand and powder products on a kitchen towel, then dab the flat part of the sponge into the product and put the product onto the skin. Then I take the rounded part and blend everything with push & roll motion. 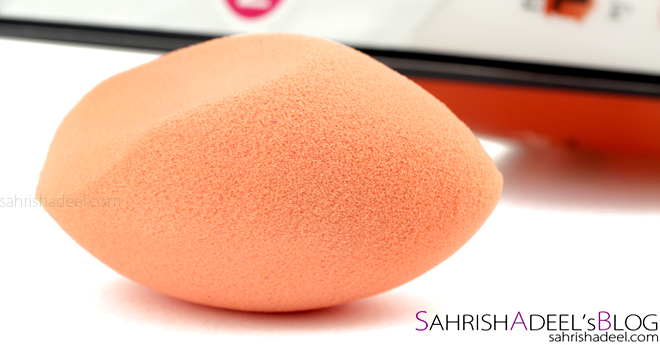 For concealer under eyes and around nose, I use the pointy part of the sponge to put and blend the product. Result is skin-like and it gives flawless application of makeup products; foundation, concealer, blush, bronzer, highlighter and face powders. I have tried it using with powder to liquid to cream products and it works absolutely fine. Washing is easy but I must tell you that I could remove all the product in one wash but liquid foundation left stains on it. Also I found that it was a bit hard to get rid of the soap which is not my favorite part but the application, results and price make me happy again. I use baby soap to wash my sponge and then soak and squeeze it under running tap water until I see no more product and soap coming out of it. Then I just leave it on my vanity to dry and it takes about 10-12 hours to completely dry. I have used the sponge a few times and it did not break at all so far but I still try to keep my nails away from it. 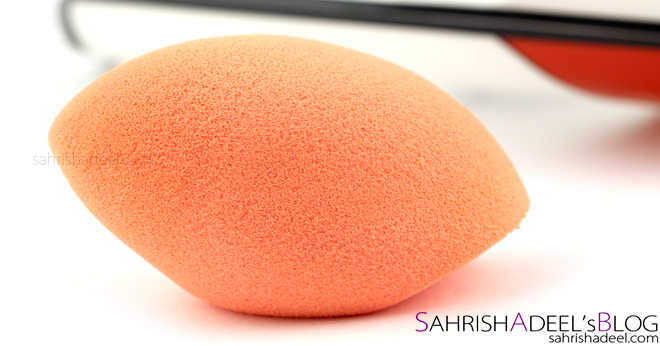 Overall, I am loving the sponge for its good points however, sponges can never be travel friendly as storing a wet sponge in makeup box can cause it to grow bacteria and God knows what. - You can make the drying process faster by using a blow dryer. - If you are a lazy person like me and cannot go through the whole process of applying makeup with the sponge and then deep cleansing it; just wet the sponge and push and roll it all over your already done makeup to get a non cake-y look. - Real Techniques Official Website *Ships to US only. Join heir Facebook page for more information and latest updates as well. - Mesmerize *Ships to Malaysia and Singapore only. - Comfys and Just4Girls.pk *Both stores ship to Pakistan only. - You can find may individual stores in Pakistan and all across the globe who are providing great services in arranging your favorite brands to your door steps, so make sure you do a bit of research. 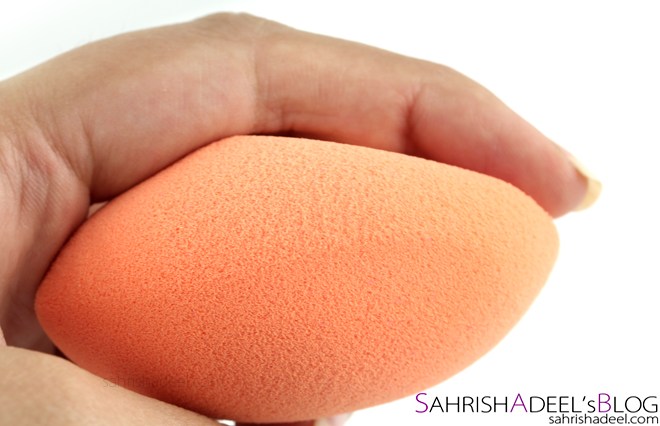 Do you use makeup sponges? Which one is your favorite? Reviews on Real Techniques' range.